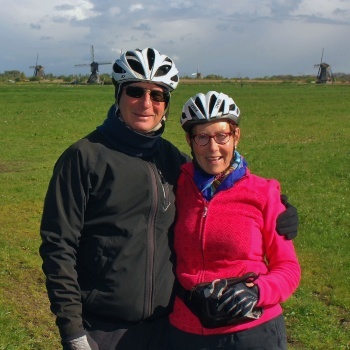 Bike and Barge Holland and New England tours, Wonderful deals on hosted all-inclusive trips. Bike & Boat Kingsday Blooming North Holland! Bike & Barge Amsterdam to Koblenz, Germany! Travel with us to the Netherlands, Belgium and Germany! Are you a seasoned cyclist or new to bike touring? Sightseeing by bike brings great enjoyment. Our goal is to provide a memorable adventure with lots of bells and whistles, all at an affordable price. We love customizing group tours and creating new trip itineraries! We include LOTS in our trips! Suzie and Roger's personal service from beginning to end. Cozy lodging and at home atmosphere on our private hotel boat. Hearty breakfasts, picnic style lunches and wonderful dinners. Great care from our friendly and accommodating crew. 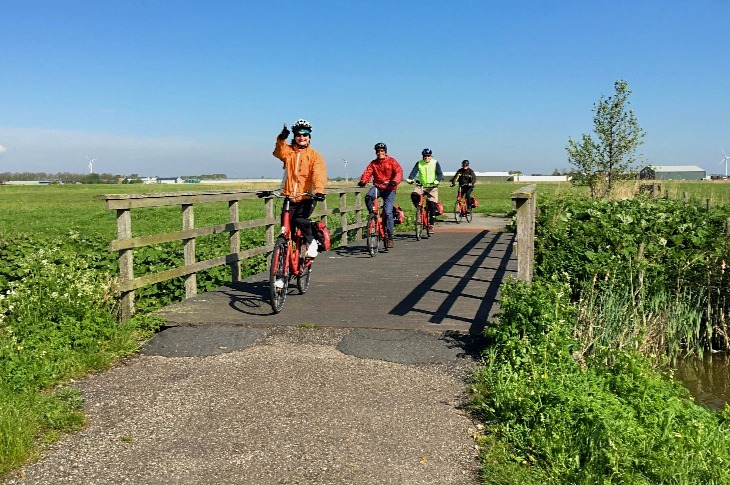 Exciting cycling routes custom created by Suzie. Cultural and special interest activities to enrich your tour experience. 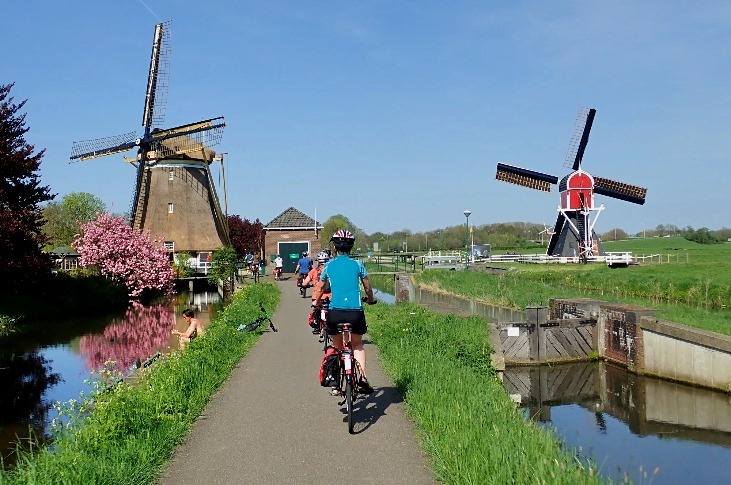 Bike and Boat Holland with Peek into Germany! 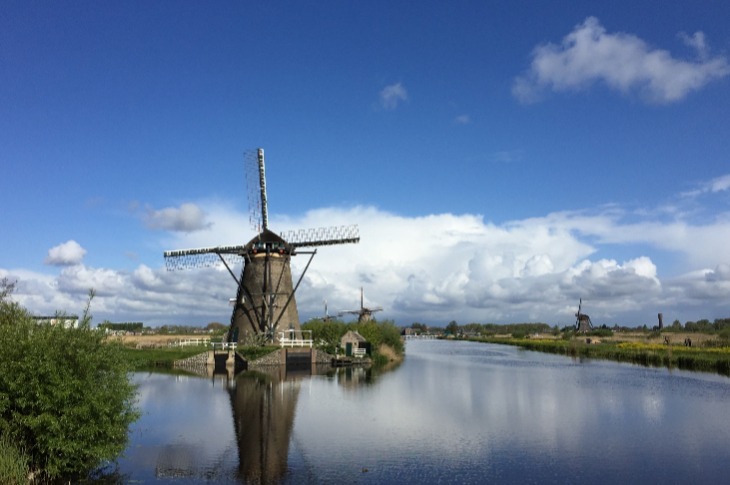 Fruit orchards, lush polder landscapes, historic Dutch towns and an exciting day cycling the Via Romana to Kleve, Germany. Bike and Boat Germany - 3 Rivers! Captivating landscapes, castle adorned hillsides, lovely wine villages and cultural treasures around each bend of the Rhine, Moselle and Main rivers! A adventuresome two-country escapade following the colorful fall landscapes and lovely old towns of the Rhine to Koblenz, Germany. Our greatest delight is hosting and leading YOUR memorable cycling vacation.